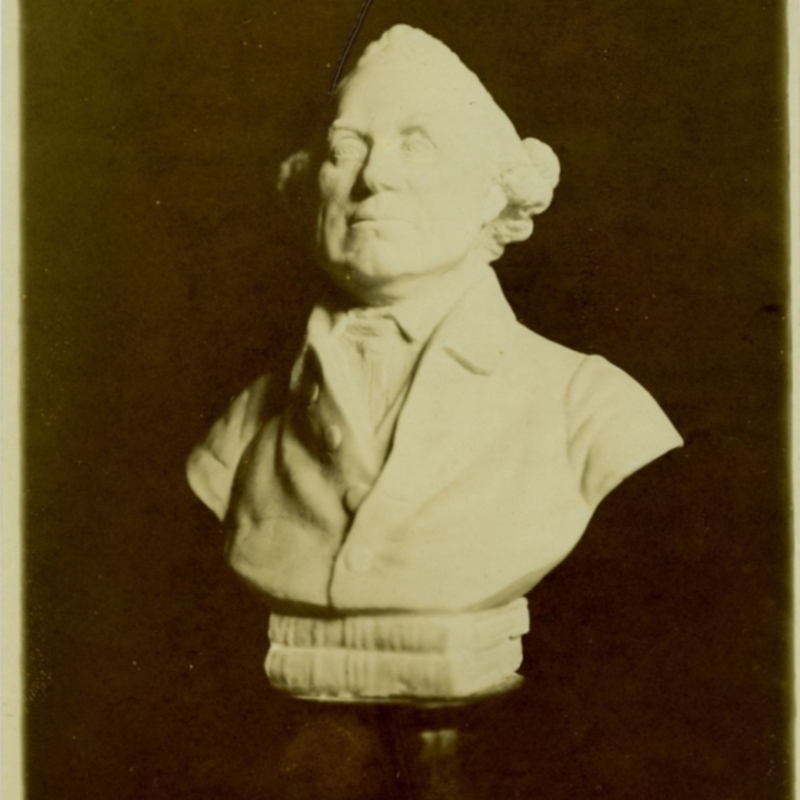 Photograph of wax bust (?John Hunter) with inscription on back "Photo of wax belonging to late W. Gemmell given me by RMB 6/8/20" found in "Two Great Scotsmen: the brothers William and John Hunter" by George R. Mather, Glasgow, 1893. 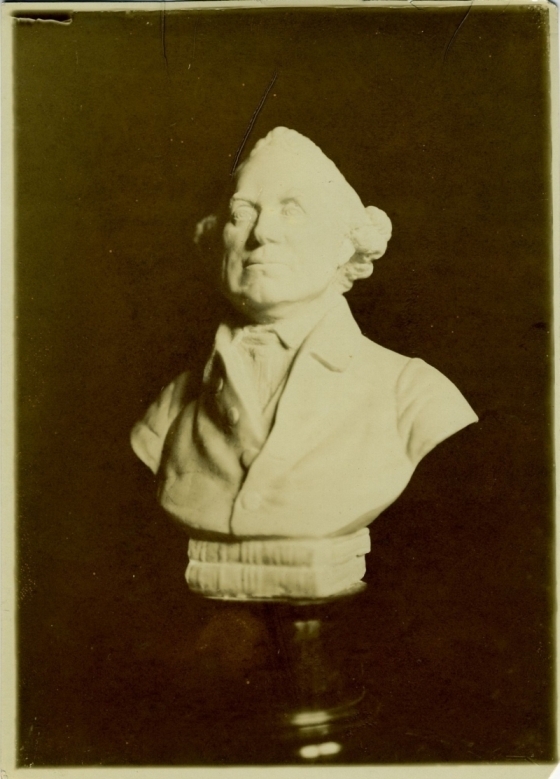 “Photograph of a bust of John Hunter,” Heritage, accessed April 24, 2019, https://heritage.rcpsg.ac.uk/items/show/401. Description: Photograph of wax bust (?John Hunter) with inscription on back "Photo of wax belonging to late W. Gemmell given me by RMB 6/8/20" found in "Two Great Scotsmen: the brothers William and John Hunter" by George R. Mather, Glasgow, 1893.